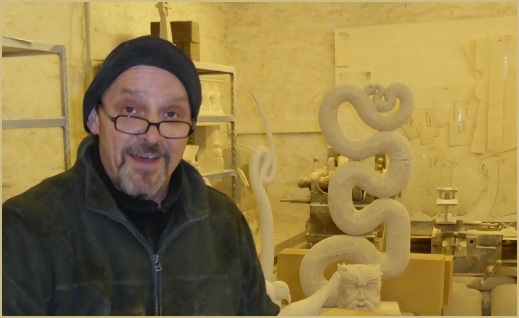 Hello… My name is Simon Brittain, and I’ve been a stonemason and carver all my working life. 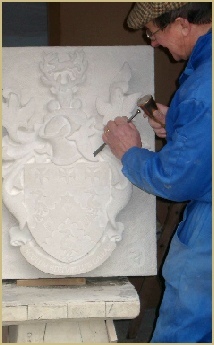 I would really like to introduce you to the historic craft of stone masonry. Whether you want to make a new stone windowsill, or dream of sculpting in stone, please come to my workshop for a day’s taster session, and let me guide you through some of the practical skills involved. 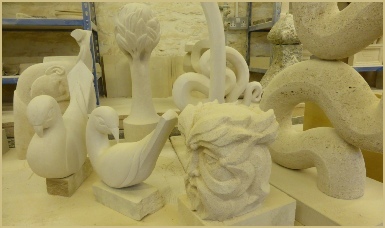 Every student will leave with a piece of Cotswold stone they have worked for themselves with mallet and chisel. And they’ll have had a great day too. This practical, hands-on course has been designed specifically for those with little or no experience of stone masonry. 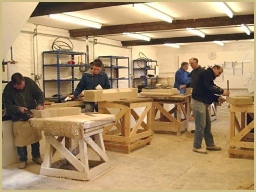 So whether you fancy your hand as a stone mason or would simply like to give it a try, this course provides an ideal taster experience of this most traditional Cotswold skill. The day will begin with an introduction to the fascinating Cotswold Woollen Weavers and Filkins Stone Company complex in Filkins with tea/coffee, and a very short overview of what limestone is, where it comes from, and why it is so important to the heritage of the Cotswolds. Its then over to the specially equipped masonry workshop where students will then spend the morning learning how to use essential stone masonry tools in order to square up a block, work an edge to a scribed line, and more. * Each course starts with coffee at 10.00am and finishes at 4.30pm, although students can continue in the studio by themselves throughout the evening if they wish to. 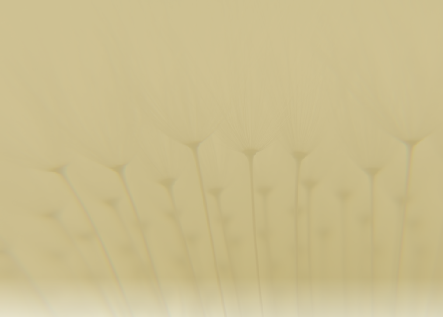 * Everything is provided for students: coffee, lunch, stone, tools, and all other equipment. * No more than six students will take part in a Taster Day, and each will have their own banker (workbench and tools) provided. * Please contact Richard Martin ( 0771 3636 415 or stone@naturalbest.co.uk ) to book your place. * The price per student is £115. 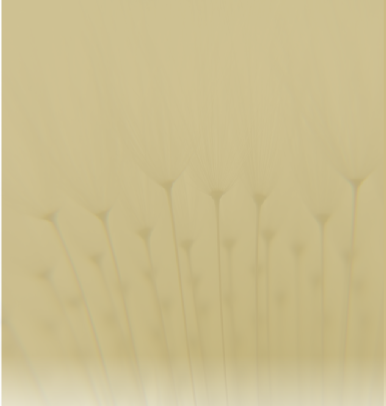 Payment can be made by credit card or PayPal.